Sky Bet Championship Promotion Predictions 2018/19 – Rams on the up? Each year, the Championship is full of surprises. It’s what makes it one of the most exciting leagues in club football and our Championship predictions will help you with your bets. A dozen teams end up fighting for those top six positions and three places in the promised land of the Premier League. At thatsagoal we love the league, and our expert Championship tipsters bring you some of the finest previews and predictions on the web. It’s well worth adding the Championship to some of your Premier League accumulators, as the beauty of the league is it can throw up some very valuable odds. Before each set of fixtures, we’ll bring you all the latest and best Championship predictions. Our experts analyse form, head-to-head results and study the Championship betting market to ensure all the most important information is delivered directly to you. We write our previews with betting at the forefront of our thoughts, to make sure our advice brings you a fruitful return. It’s what we want, and it’s certainly what your wallet would like! When will you pick your Championship betting tips? We post our Sky Bet Championship predictions and betting tips a day or so before each fixture to make sure you get all the very latest tips and the most up-to-date odds. You’ll find all our Championship tips by scrolling up, while our accumulator tips page and BTTS page will also provide you with the very best Championship accumulator bets and both teams to score odds. Where will your Sky Bet Championship predictions be? All our Championship match previews can be found on this page and they will be accompanied with Championship football predictions. Just scroll up and you’ll be faced with all the weekend and midweek action, with the latest analysis and all the finest Championship betting odds. Our football predictions are awash with the best odds and promotions from the UK’s most renowned bookies, while we’ll also be looking further ahead to how each game could affect the Championship winner odds and top scorer predictions. We’ll make sure you’re fully in the loop by posting all our predictions to our Twitter page. Make sure you follow us on @thatsagoal to receive analysis of every Championship fixture direct to your feed. Where do you find the best English Championship bets? At thatsagoal we speak to the UK’s top bookmakers each and every day to make sure we’re delivering the best Championship odds and offers directly to you. Our analysis is all built to helping you make the best decision on all the odds provided. 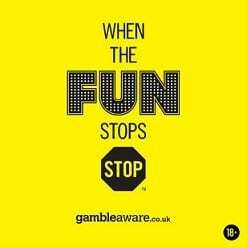 We’ll bring you odds from the likes of William Hill, 888sport and Coral as well as all the other big name bookies in the UK to make sure you’re in the best position to maximise profits. What are the best Championship free bets? You’d be hard pushed to find any betting expert than doesn’t like a free bet. At thatsagoal, we’re big on the free bets market and we’ll pair each of our previews with a Championship free bet. You’ll find even more free bets on our free bets page which features all the biggest and most exciting offers from our favourite bookmakers. Bookies love to give away free bets, particularly when opening a new account, so it’s well worth opening multiple accounts and picking a few from our selection to make the most of betting on the Championship. You’ll find football betting tips from across the planet on thatsagoal, with match previews on leagues ranging from the Premier League, Football League and FA Cup and League Cup to the Bundesliga, La Liga and Serie A. On top of that, we’ll bring you all the best Champions League predictions as well as Europa League the following day.